Grand mal seizures also known as Tonic Clonic Seizures are a type of seizure disorder that affects the entire brain. Any type of seizure disorder can really have negative effects to the overall health of a person, especially when a person is suffering from grand mal seizures. For the management of all types seizure disorders, the number 1 priority will always be the patient’s safety. Precautions should be done in order to ensure safety of the person if he or she will undergo an attack of seizure episode. Grand mal seizures and other seizure disorders can increase the risk for long-term effects, which can affect a person’s activities of daily living and their overall health. Grand mal seizures is a type of seizure disorder that involves two phases of events. The Tonic phase, which is the beginning of an episode of grand mal seizures. Tonic phase usually lasts for 10 seconds to 20 seconds. And within that timeframe, that is when the patient loses consciousness, falls down to the floor, and muscles begin to dramatically contract. 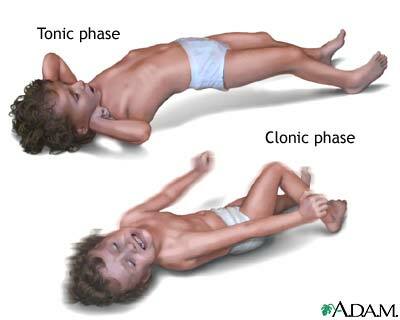 Clonic phase comes after the tonic phase wherein the muscles in the whole body start to contract and relax dramatically, which can last for 2 minutes to 3 minutes. Grand mal seizures is a result from an abnormal electrical activity in the brain. However, the exact cause why there will be an abnormal electrical activity in the brain is not yet identified. There are a lot of factors that can cause an abnormal electrical activity in the brain, which includes brain tumors, brain injuries, stroke, diabetes mellitus, drug abuse, alcohol abuse, and other medical conditions. Grand mal seizures can also be genetically passed to offsprings. Due to the sudden loss of consciousness of a person during an episode of grand mal seizures, the risk of getting physically injured is very high. Safety issues are the main problem in grand mal seizures. To help in preventing injuries secondary to grand mal seizures, it is very important for a person suffering from grand mal seizures to take precautionary measures and avoid operating machineries. Other dangerous activities such as swimming, cooking, driving cars, and other activities that can lead to life-threatening situations should be avoided to prevent injuries or even death. Patients with chronic grand mal seizures should talk to their doctors to discuss what activities can be done and what activities should be avoided. When a physician induces a grand mal seizure what it that treatment/procedure known as? is it EE-something? my daughter,aged 49 is diabetic,on insulin and had a grand mal seizure yesterday,what is her prognosis ?